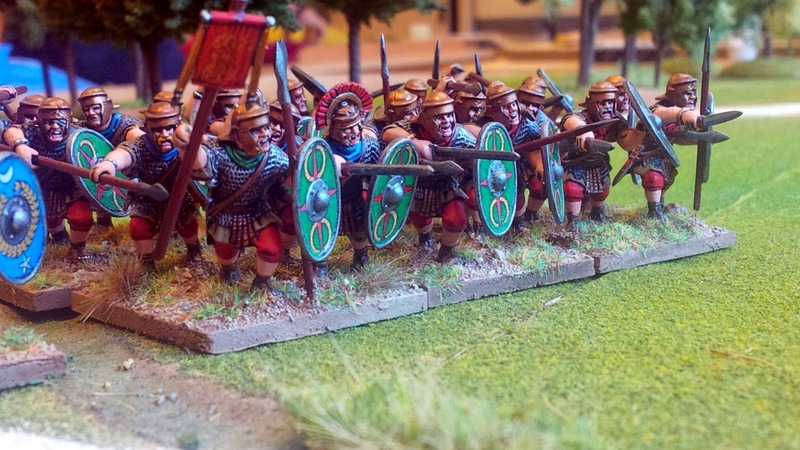 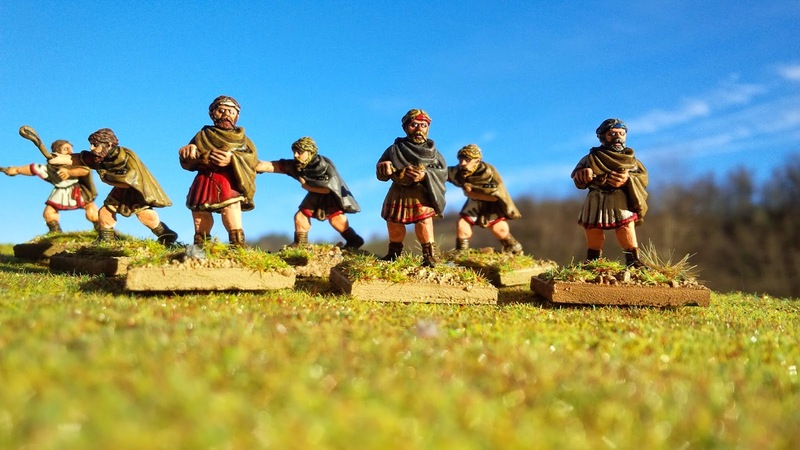 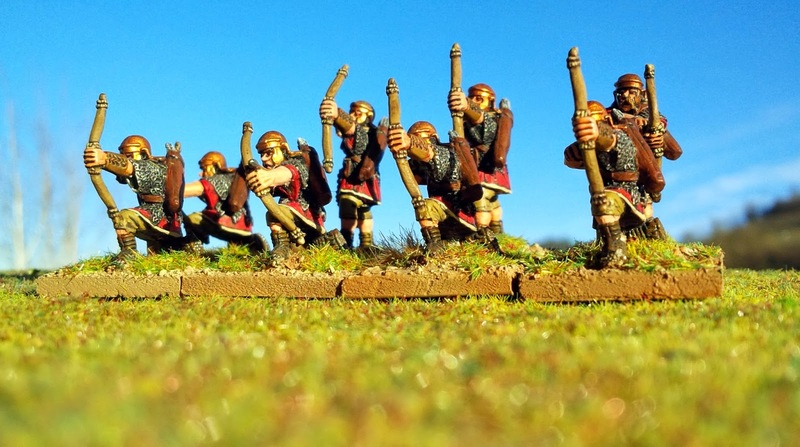 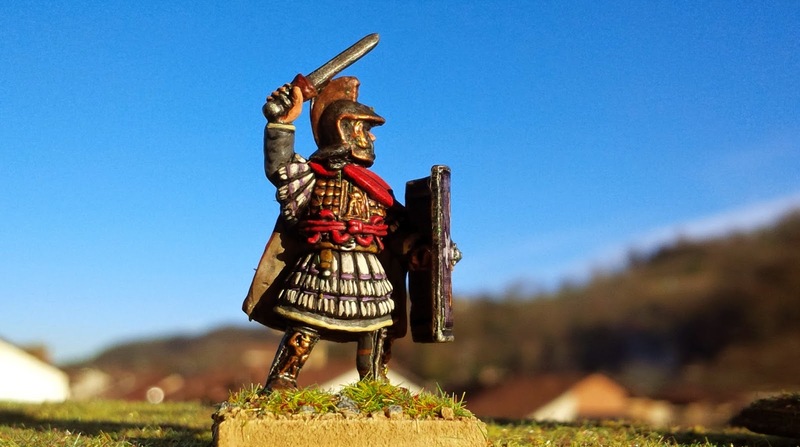 I started to paint an Imperial Roman army. 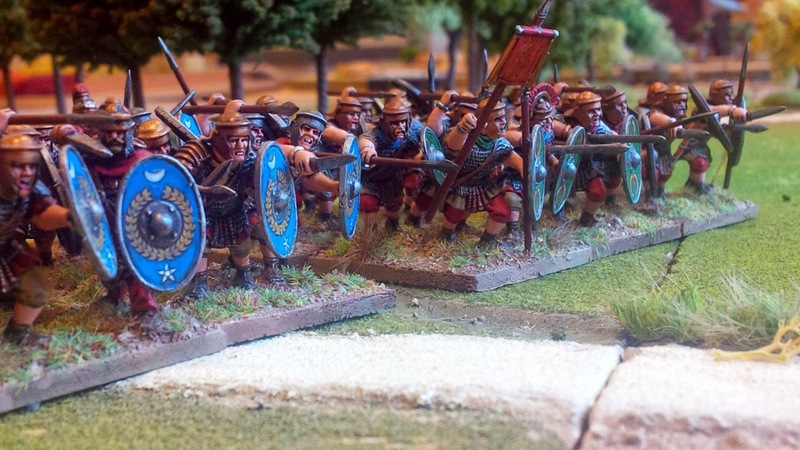 The idea is to create ten cohorts, some unit of artilleries and two alee of cavalry. 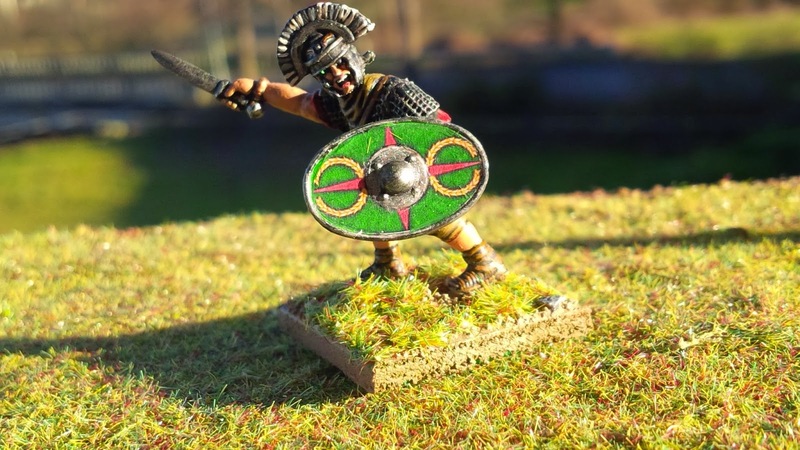 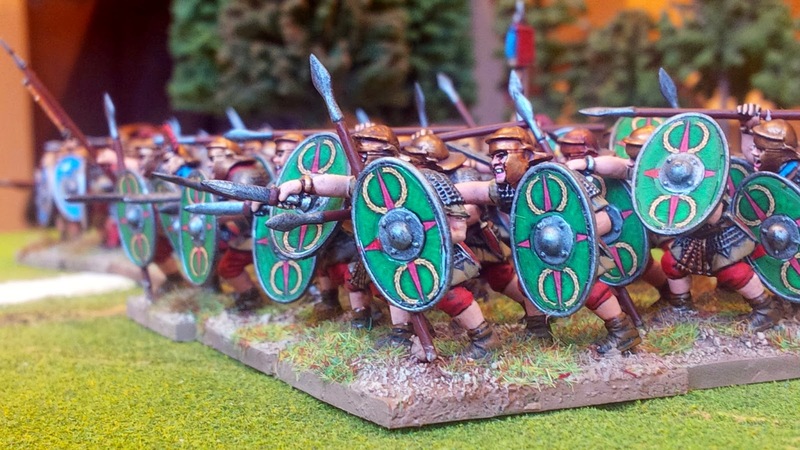 Miniatures are mainly Warlord and Armorum & Aquila. 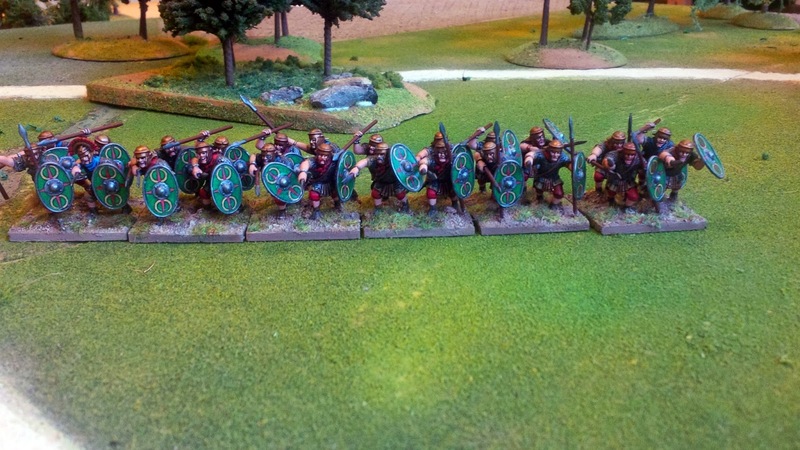 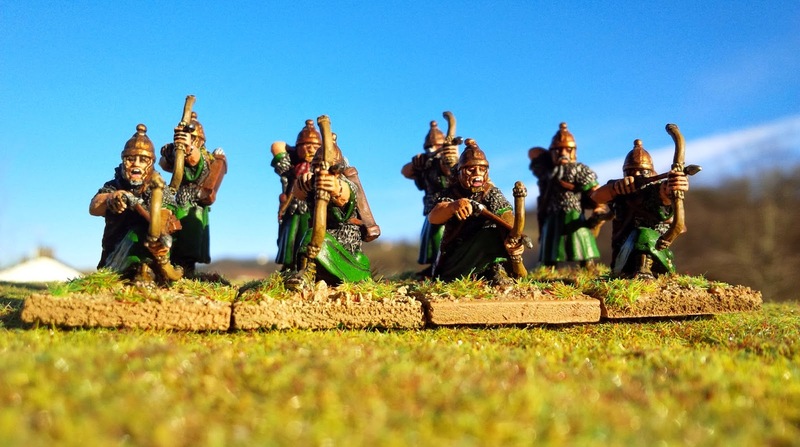 For the moment I finished two units of six bases each, some commanders and skirmishers. 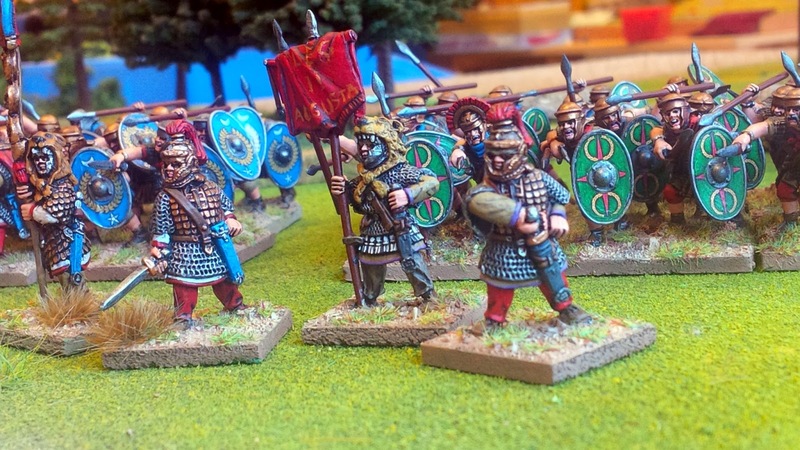 Other two pictures with more details. 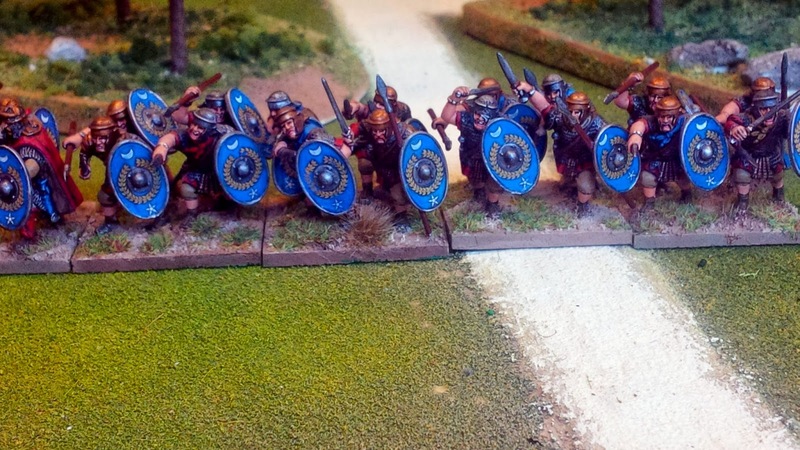 Each cohort has a command group and a different shield pattern. 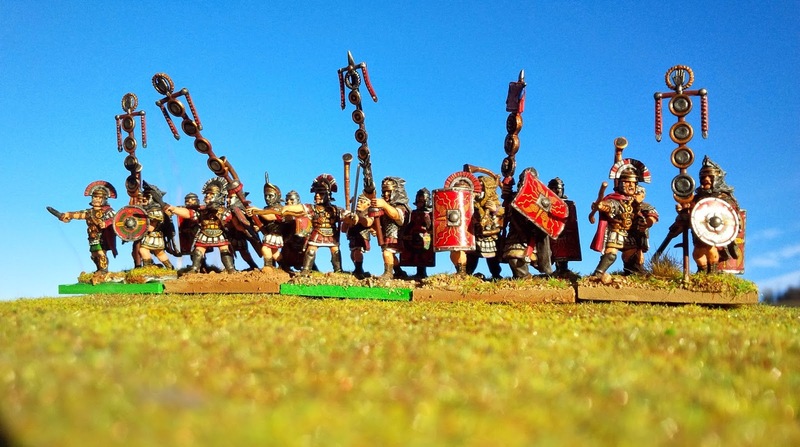 All cohorts will count four bases (16 models) except for the first one that will have double ranks.